We are proud to carry gowns from five uniquely different designers: Casablanca, Enzoani, Sophia Tolli, Martin Thornburg, and Enchanting. The pricing of our collection ranges from $999 to $3000, taking about 12-16 weeks to arrive in-store upon ordering. Learn more about our designers below. You dream of lace, tulle, and a hint of old world sophistication. You live for the traditional elements of weddings. You're looking to be a bit daring, and dream of low backs and form fitting silhouettes. You're drawn to unexpected fabrics and graphic lace. 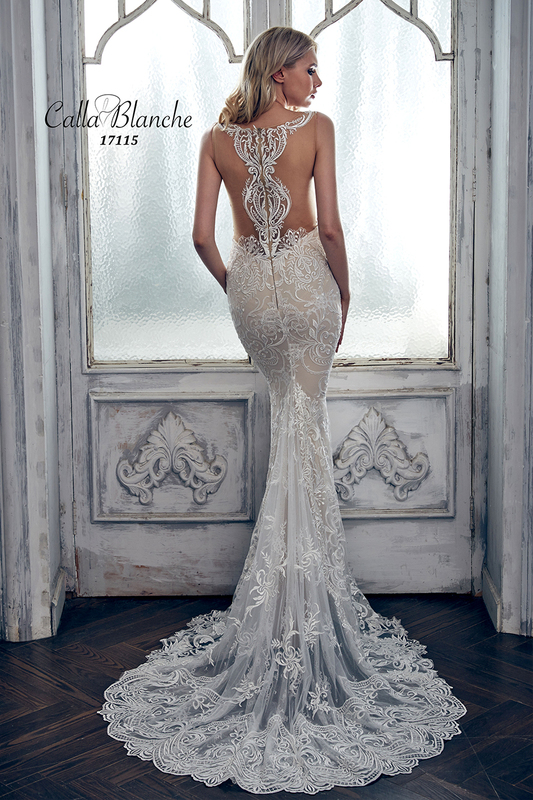 You are anything but shy, and want to make a dramatic entrance in your gown. You want to feel like a bride on your wedding day. You are unconstrained by society, untamed, wild, and free. You prefer the sleek silhouettes to the fuller ballgowns. before looking at the big picture. You obsess over lace appliques, corset backs, and sweetheart necklines.